“Salata Salutes” is a new fundraising initiative that gives back to local non-profit organizations each month. 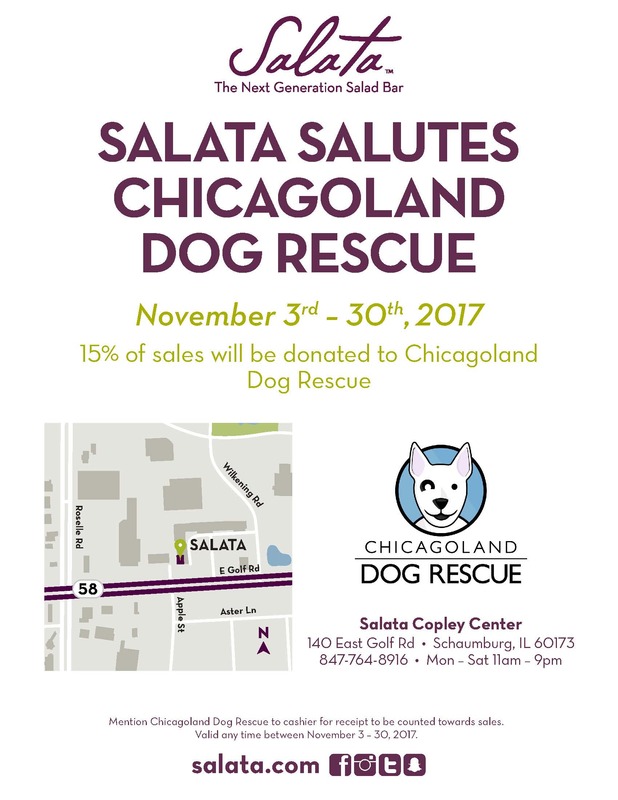 Throughout the month of November, whenever anyone “salutes” Chicagoland Dog Rescue at checkout, 15% of their bill will go into the rescue’s fund. 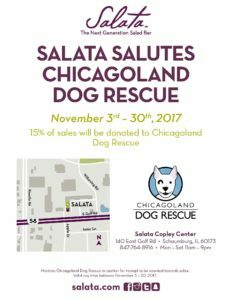 At the end of the month, a check will be presented to Chicagoland Dog Rescue in efforts to help rescue, rehabilitate and rehome dogs.